Earth Day is Wednesday and this weekend I did a fun project with the kids to give us an opportunity to talk about it. I have been seeing adorable, little succulent plants all over the place (even in CVS, random) and I love them! Then I read that they don’t need much water and are practically indestructible, which sounds like the perfect plant for me and my crazy kids. I took Hudson with me to Home Depot where we talked about the different types of plants they had. Many of the flowers had instructions posted, so we talked about which plants would be best for us. We wanted something that looked nice on our patio table, but we didn’t want a plant that needed a lot of water. Hudson originally wanted to do a succulent/cactus mix, after he found some ‘super soft cactus’ that he convinced me to ‘pet’ after he did it. Well, soon after we did this we realized our hands were stinging and we had tiny strings of cactus stuck all over. (How the heck was I supposed to know that?? 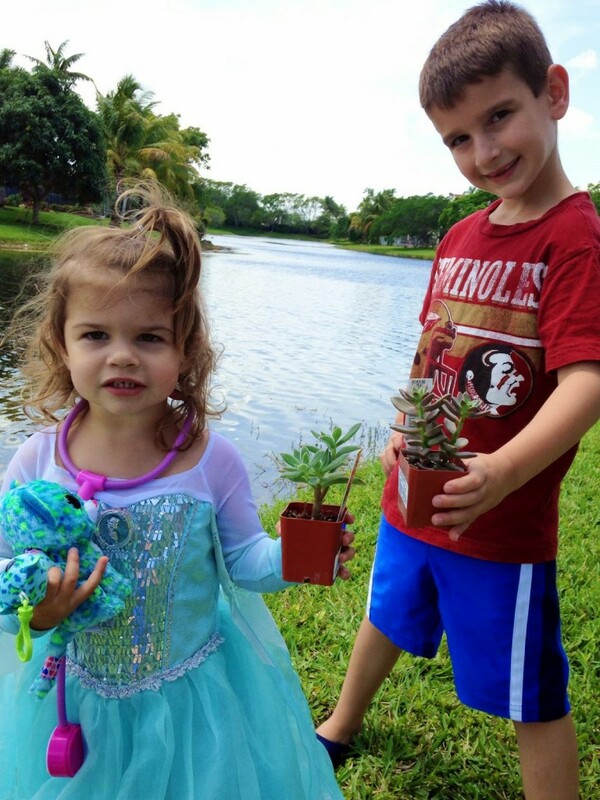 My husband got a real kick out of our story when we got home…) So we selected our plants and headed home. The kids and I went outside to build our centerpiece. I got the white planter at the dollar store. First, we filled the pot with soil, then took the succulents out of their individual pots. I let the kids do this, and let me tell you, these little plants are TOUGH. They smashed the succulents into place, and I filled in the areas that needed it with more soil. Then I let the kids set everything with some water. (thank you dollar store for that cute little plastic watering can, that is now a pool toy favorite) And boom, we were done! So cute and so easy. (and cheap!) I will let you know how long they stick around for. I also wanted to teach the kids some more about Earth Day. 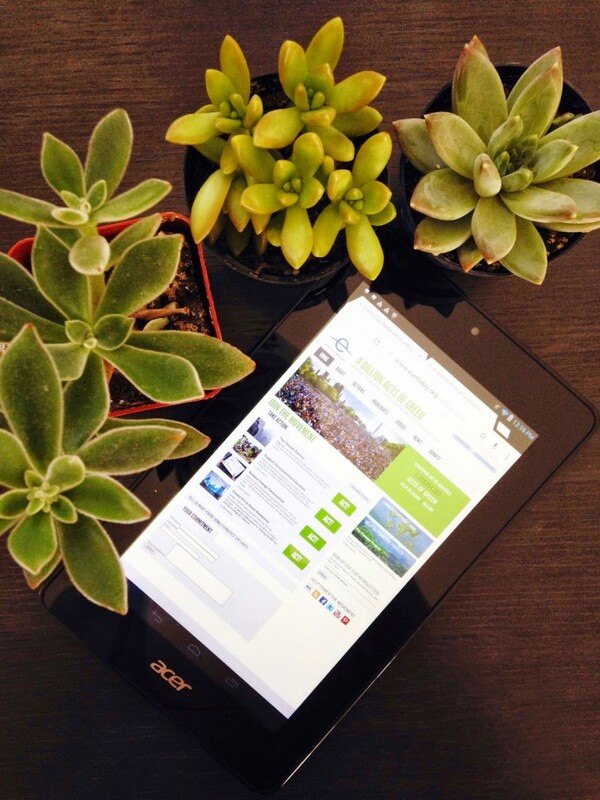 So I hopped on my Intel Acer Tablet and we searched for Earth Day projects, videos and ideas. I found a great website that you can type in details on where you live and specs of your home and they give you a list of things you can do to conserve energy, water and more! Hudson has been trying little things we learned, like turning off the water when he brushes his teeth… and remembering to switch off his fan and lights in his room when he leaves for school. Great Earth Day lessons Mom! 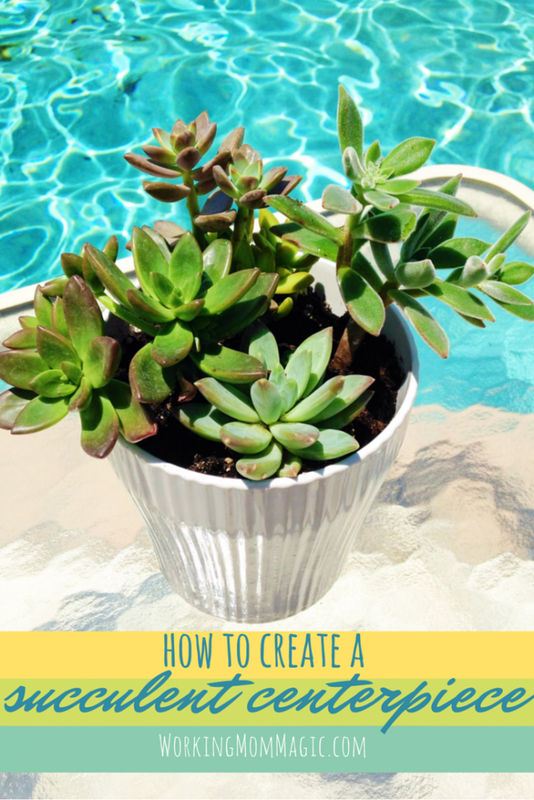 I may have to copy you and do a succulent lesson with my kids…heck they are probably the best plants for me (to keep alive) too!! Thanks Nicole! Hope you are having a great week! I will check it out tonight.. I love a good link party! 🙂 Have a great week! These centerpieces look fantastic!! Love using succulents in decorating! I am obsessed with them, it looks great outside! So cute. I have been wanting to make a garden with succulents. Yours is so cute! I love succulents-mainly because they are, as you said, indestructible. But I've never had any, I should do this with my girl, she's been really into plants this year. I had a run-in with a cactus once while trying to transplant it. Not fun-I feel your pain! Yeah, my hubby was like, "why were you guys petting CACTUS plants??" haha not my best moment! Yes and I am sure I will put that whole 'hard to kill' thing to the test!! ha! 😉 I hope you are having a great week and thanks for stopping by! I know, she wears it all the time on the weekends! I actually just bought some new costumes from the Disney store for her (that arent LONG) to see if she will switch out. (at least every once in awhile) ha! Definitely a great way to teach kids about Earth Day. We got an early start on our Earth Day talk and planted a balcony veggie and herb garden earlier this month. I really want to start a small veggie garden! What a cute idea to put one in a coffee mug!! love that.. Yes and they are so cheap! Mine were only 2 bucks each at home depot! Love this! I completely forgot about Earth Day this month. We'll have to do something like this. This is such a great idea for earth day! I love succulents. Yes they are so fun! I am obsessed with them now. This is so charming. I love any plants that aren't high maintanance. me too!! 🙂 I hope you are having a good week! they held up well to kid-handling, i will tell you that! Hi there! Visiting from the Coffee and Conversation link party. I love succulents! This is such a cute centerpiece. Thanks so much for sharing! Happy Earth Day! I love succulents because they don't take much work. I tend to kill all my house plants! It's very sad. Happy Earth Day! I am horrible with plants too, I dont have the time to give them lots of attention, so far these are holding up great! 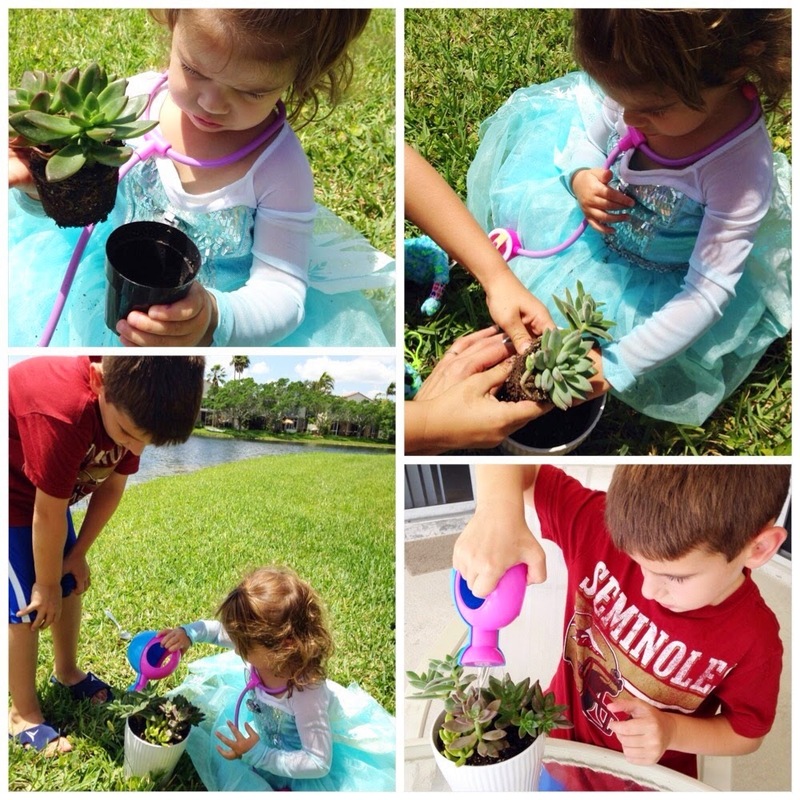 OMG she gardens in her ELSA dress? LOVE this! We went through that stage too! So glad we are over Frozen…for now! But back to the post…what are those called? The plants are they a type of cactus? I have a black thumb so looks perfect for us! She loves being dressed up all the time! I love it! 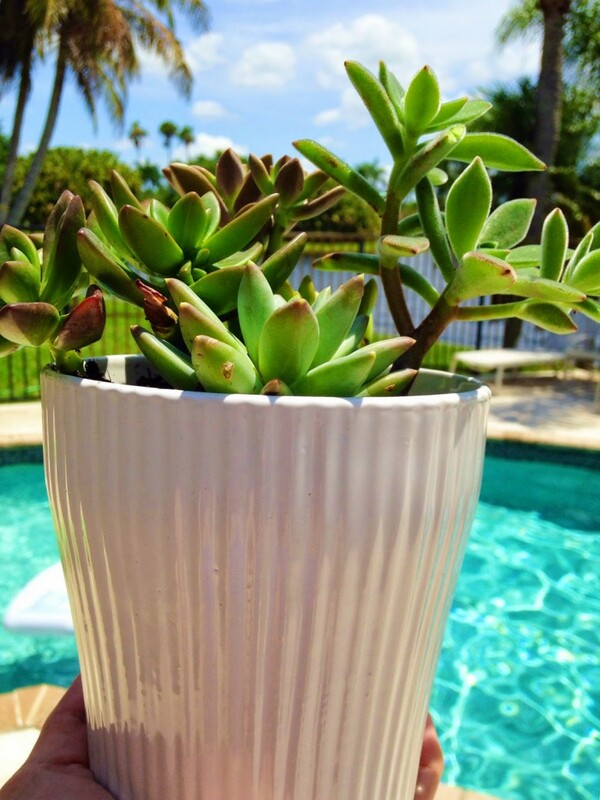 Yes, even those with a black thumb will love succulents. Mine still look great and I think I have watered them once. I was actually just thinking about making this for a friend! You should, there are so many fun options and your friend will love how low maintenance it is! waooww! It turned out so well. 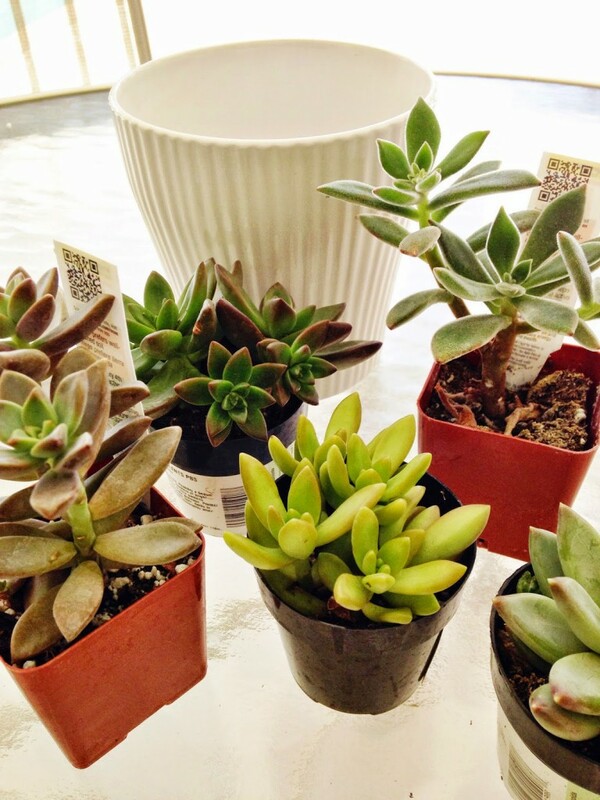 I love plants and succulents are perfect as they are low maintenance. Its a great project to do with kids. Beautiful. I know!! I was really surprised by how good it looks, esp since the kids did almost all of it! I loved how you turned this activity into a learning experience, however, not as much as I love your daughter planting in her Frozen dress! So adorable! I like that the plants are able to withstand little ones smashing it into the pot. A definite project to try with my daughter. Something she can take ownership over to keep alive as I kill everything! I love the succulent planter!! Thanks for linking up to the Feature Friday Link Party!! Don't forget to link back to the party somewhere in your post, and come back to show some blog love! Oh my gosh! succulents are MY FAVORITE! Mainly because they are nearly impossible to kill but also because of the variety. They are the NEATEST looking plants out there. I know! Ours are still holding up great and I have only watered them once! Happy Belated Birthday!! I hope you had a wonderful day!! This is LOVELY and so unique in appearance! I totally want to make one now. You will love it! (and the kids too) I hope you are having a great week!! I love succulents! I have one at our house. I think my favorite succulent is called "baby toes" – seriously the cutest plant I have ever seen! I love your project! The pot is pretty too!